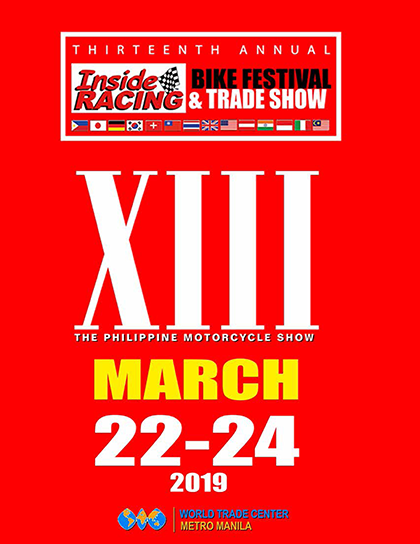 After the buzz that it has created overseas and after much speculation, Yamaha Philippines has finally brought here the Yamaha TFX-150 – a sporty naked-styled street sports bike that is sure to give bikes in its range a fierce competition. 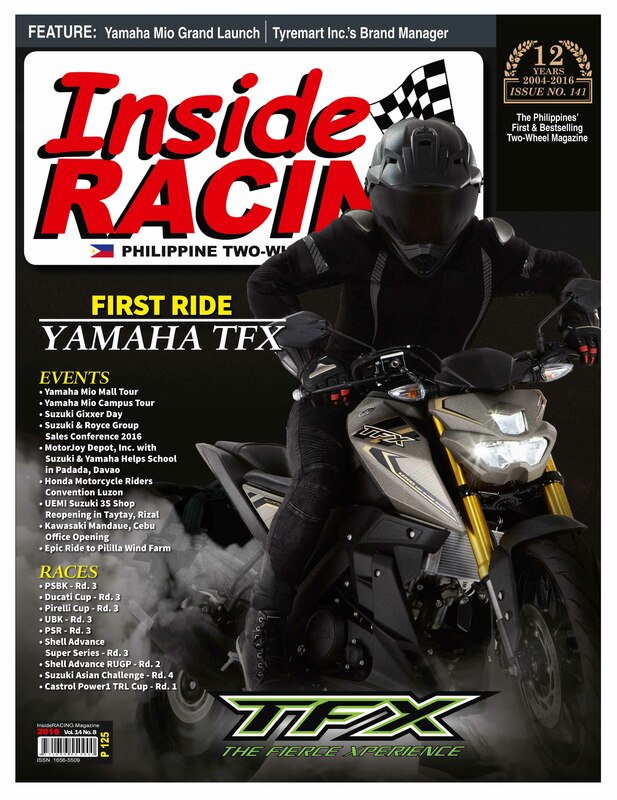 We tested the bike a couple of weeks ago in an almost empty Batangas Racing Circuit and we enjoyed every twist of the throttle while riding the then confidential Yamaha TFX-150. 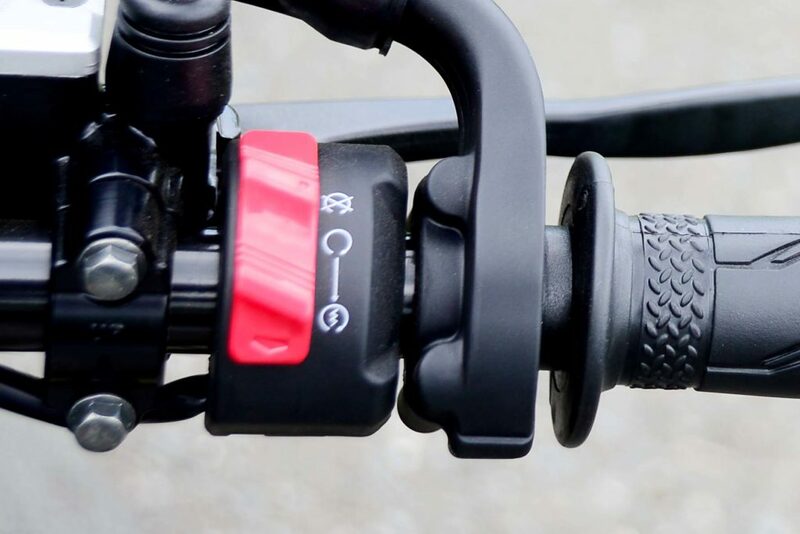 This article is an initial first ride description and we would want to test this street bike in a more comprehensive manner, hopefully very soon in the environment where it truly belongs – the streets. The bike is equally powered by the same engine as the beautiful YZF-R15. 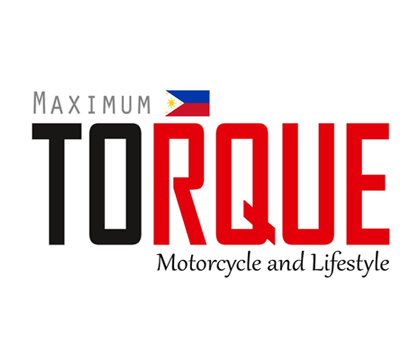 The 149.8cc liquid-cooled, 4-stroke, 4-valve, single cylinder engine is mated with a smooth 6-speed constant mesh transmission and a fuel-injected system. 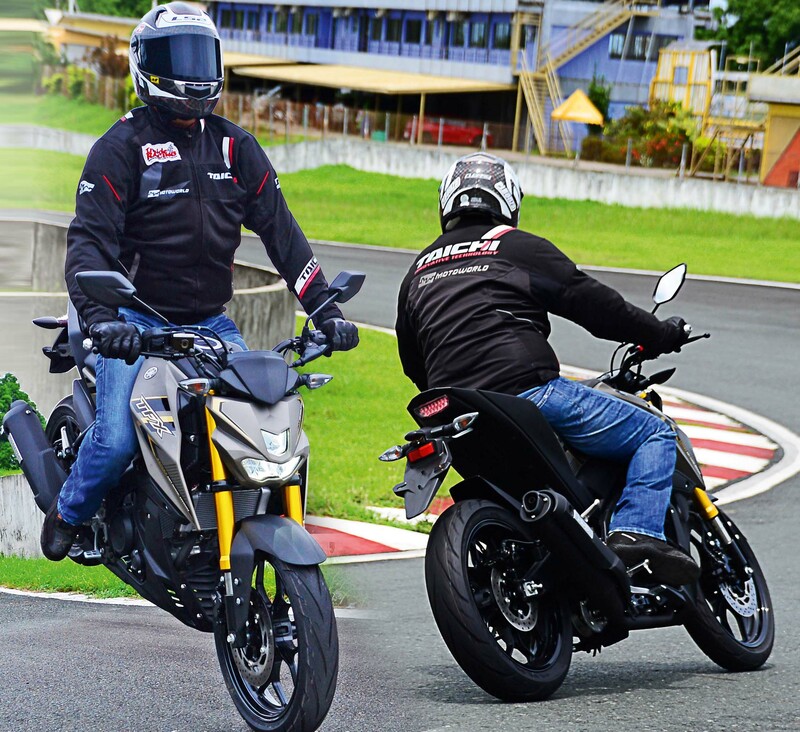 As a street bike, the TFX-150 yields 14.3 Nm of Torque @ 7,500 rpm and a maximum horsepower of 12.0 Kw @ 8,500 rpm. This bike is performance-oriented but at the same time will yield an approximate 45 kilometers per liter. Provides a bright view up front and maximum visibility from behind. 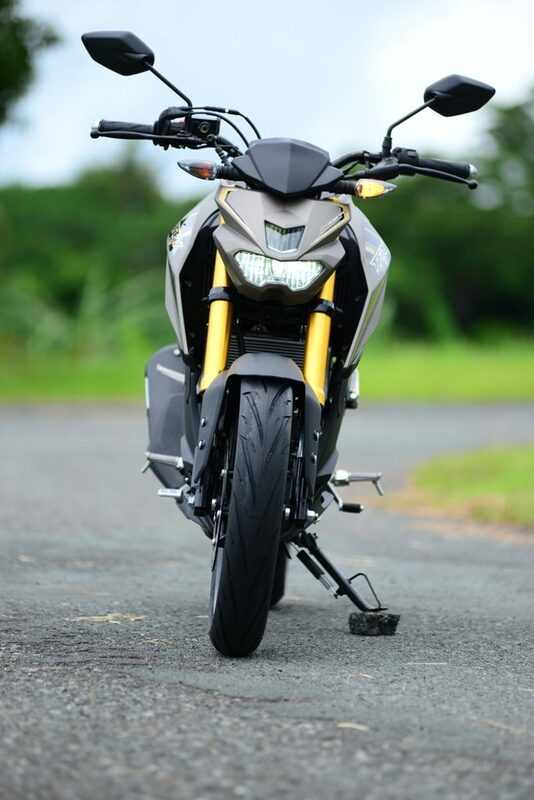 The bike rides very stable on twists, turns and straights thanks to the 37mm inverted forks for its front suspension and the aluminum swing arm and monoshock for its rear. Like its brother, the YZF-R15, this bike is built on a delta box frame. 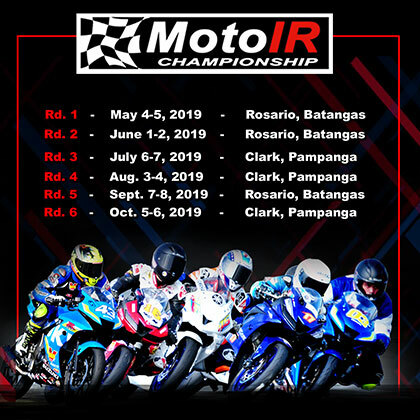 The bike is equipped with 110/70-17 front and 130/70×17 rear IRC Exato tubeless tires on 10-spoke alloy wheels which guarantee you a combination of good mileage and adequate grip for your travels. Equipped with a Linked Type Monocross Suspension and comfortable cushioning. World-class frame type with rigidity and im[roves handling stability. 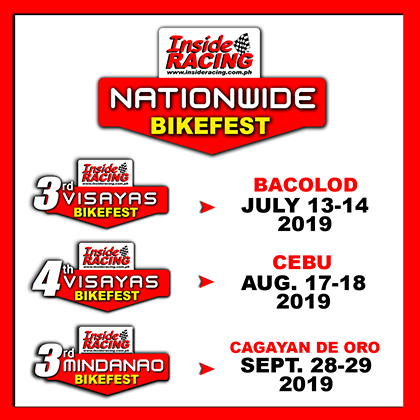 This is a good choice in equipping this bike with wider tires as compared to its other counterparts in the 150cc segments, as most of the bikes in that class still offer almost underbone-like narrow tires. 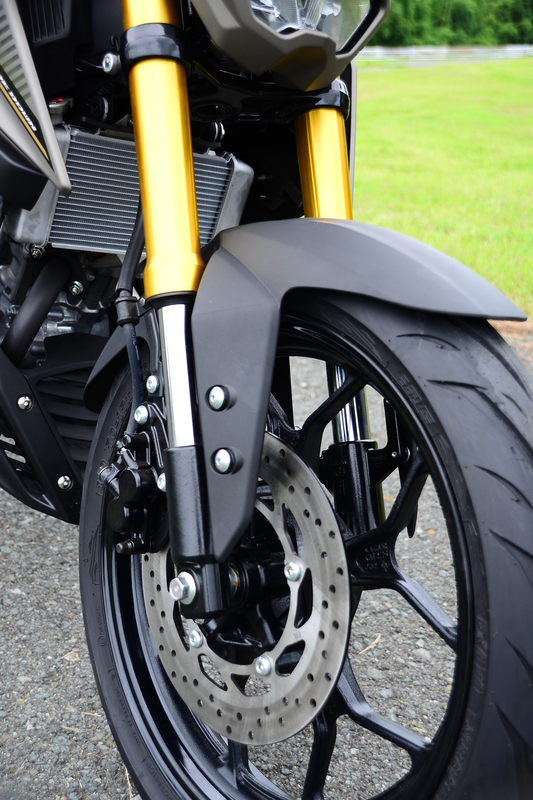 Actually, upon checking the swing arm, the space allows for a slight increase in the tire width. The 10.2-liter fuel tank will give you a mileage range of close to 400 kilometers per full tank of gas so constant gas ups like in underbones and scooters will be a thing of the past in case you will be upgrading to this bike. The curvy fuel tank also adds to how the bike projects itself. 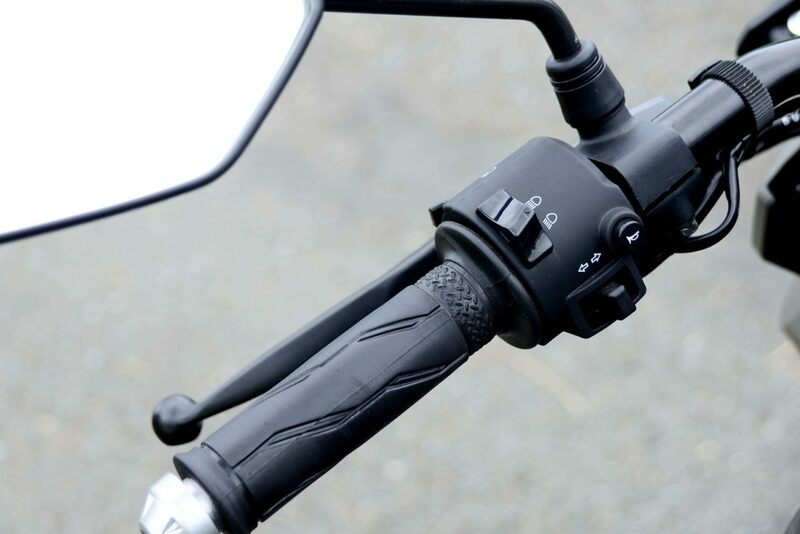 Although the bike is sporty and aggressive, the handle- bar position is a bit upright. With other riders looking for more stability and safety in their rides, this bike will be one of the choices definitely. With its 135 kg curb weight, the added weight should not surprise those who have recently upgraded. 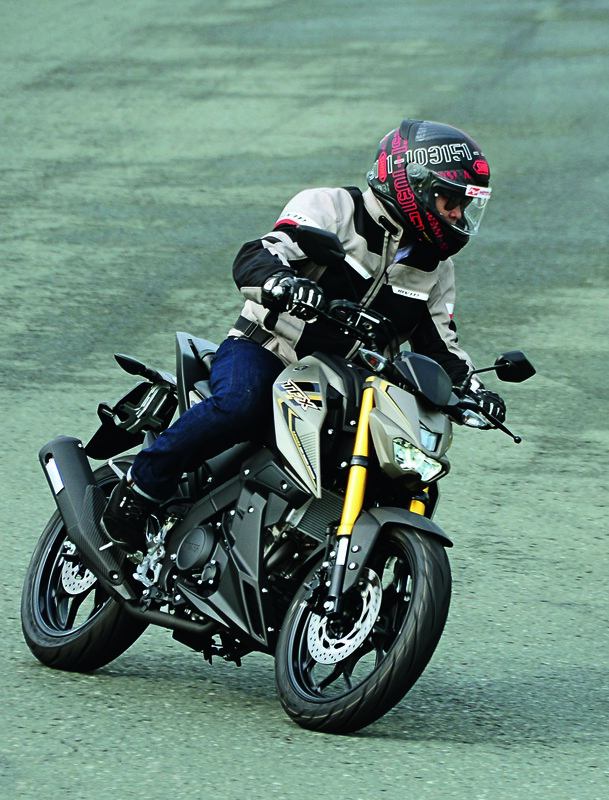 The bike offers stability on straight roads and great handling on corners as well. Clearly displays riding instruments with adjustable backlight settings. Signature MT switch for easy starting. 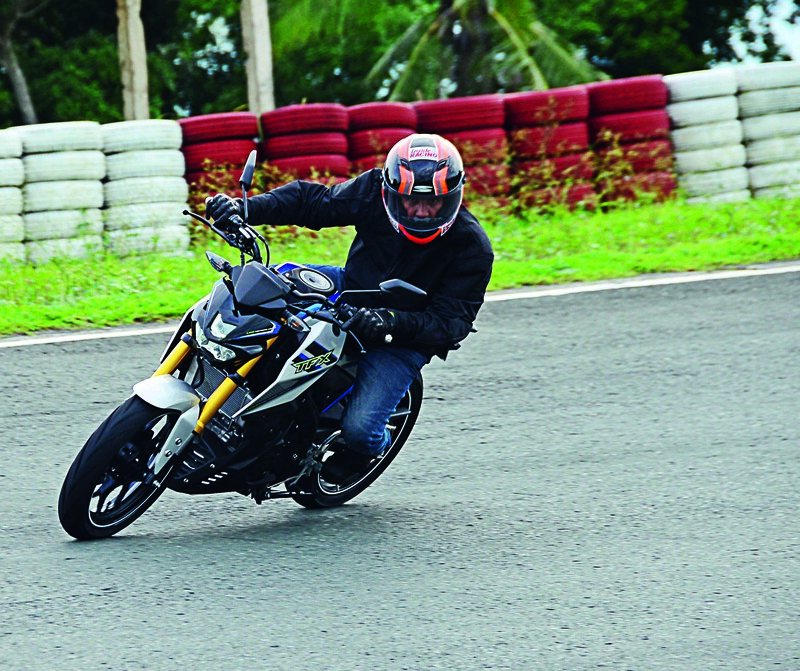 Fierce indeed as the bike we tested suggested ferociousness in the street not only with its performance but also with the Matte Yellowish Gray color scheme. It’s almost a guarantee for people to give you a second (or maybe even a third) look once you pass by them, so either you ride fast or slow on this bike it doesn’t matter. 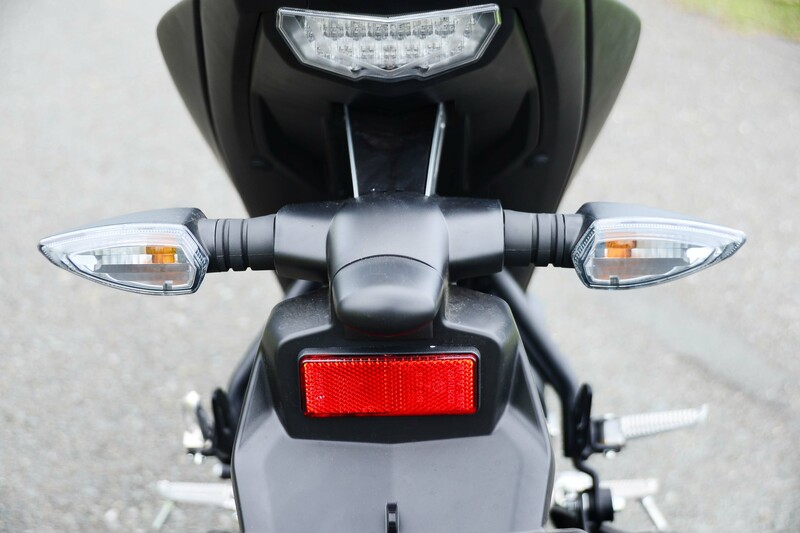 The bike also features an all LED setup with its full LED headlight and LED taillight which both give out bright illumination. The fully inverted LCD is also a thing of beauty and only adds styling points to this bike as well. 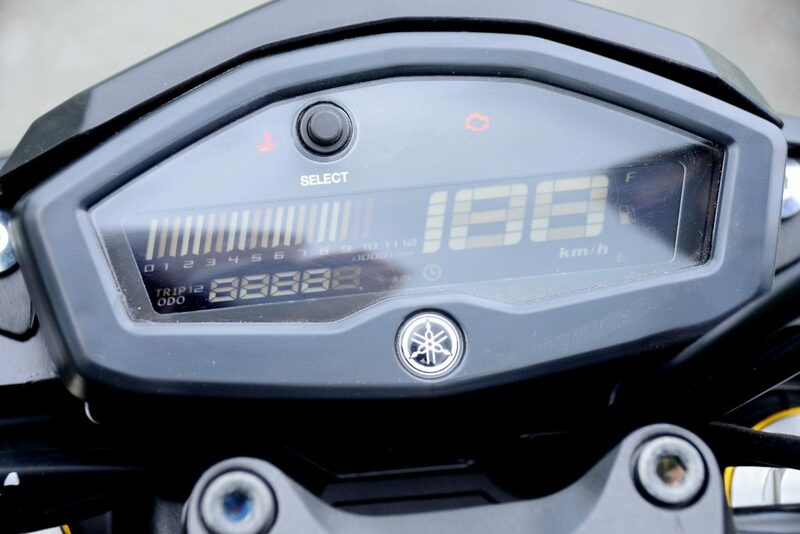 The instrument panel gives you everything you need for your ride – digital speedometer, bar graph type tachometer, a couple of trip meters, digital odometer, clock, fuel gauge, and a bunch load of warning lights on top. Even the electric starter is unique because instead of pressing a button like in other bikes, the TFX-150 electric starter needs to be pulled down to start the bike. The bike’s overall look is aggressive. 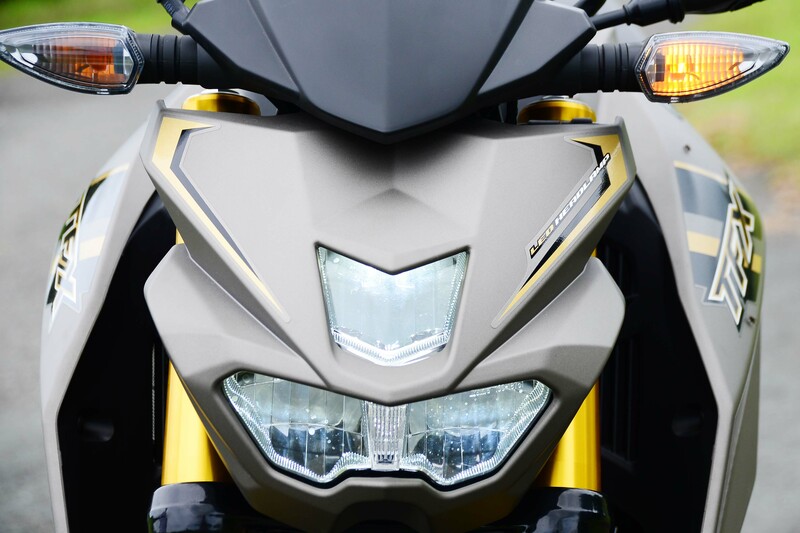 One look at the headlamp and you could see fierceness in it. 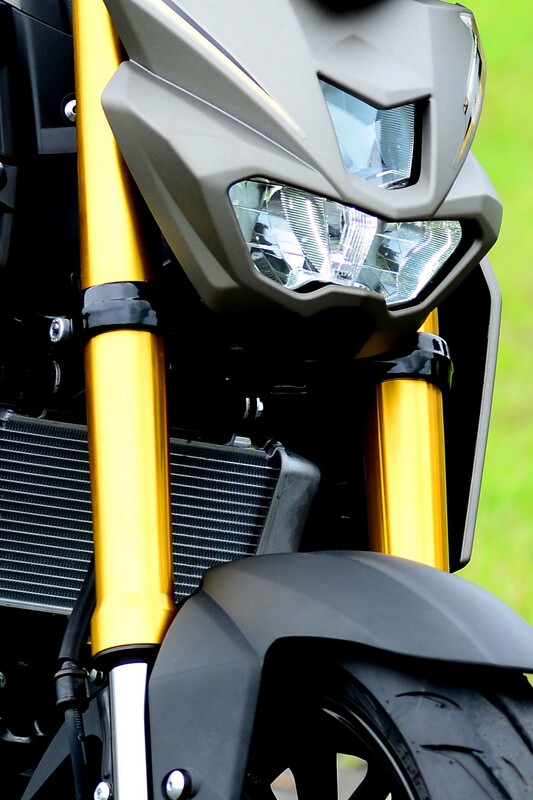 The main headlight is positioned lower with a separate headlamp. 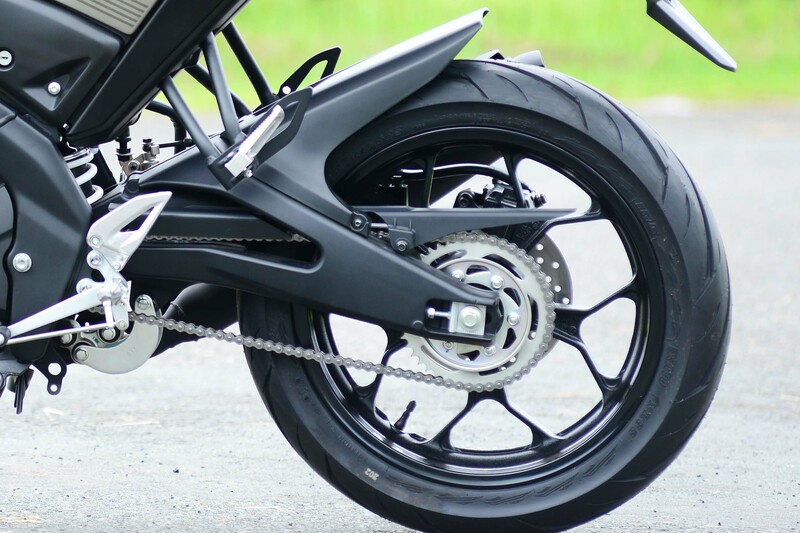 Even the alloy wheels give the bike an edgier look. 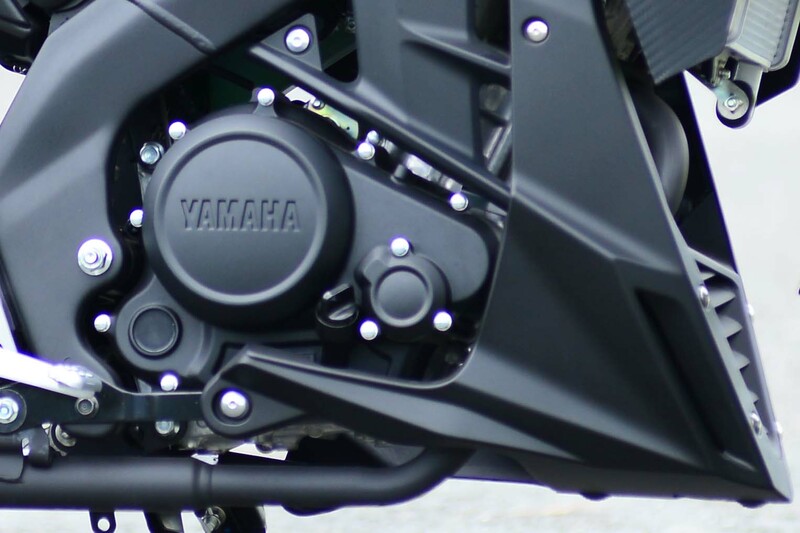 The shape of the fuel tank complements the bike’s overall muscular look. The golden USD forks more than complement the bike’s image. Build to absorb shock better and instantly responds to all road conditions. Some of those who would want to purchase this would be those who finally want to get out of the underbone and small scooter segment and are looking for a worthy upgrade. This bike has everything you need when looking for a modest upgrade as your next step in motorcycling. Yamaha put it best when it said that the TFX-150 was developed for the city with its versatile design allowing it to easily traverse through busy streets and the maze of traffic. The riding feeling is also taken into account with the active riding position that places the rider always engaged on the motorcycle. This look and feel, beams with attitude and precision that showcases the character of the motorcycle without sacrificing its function of being a highly reliable mode of transport. Design for outstanding aerodynamics, and cooling effect and mud splatter protection. Complete with world-class quality that is provided by Yamaha, this motorcycle will create an action-packed journey in the city. 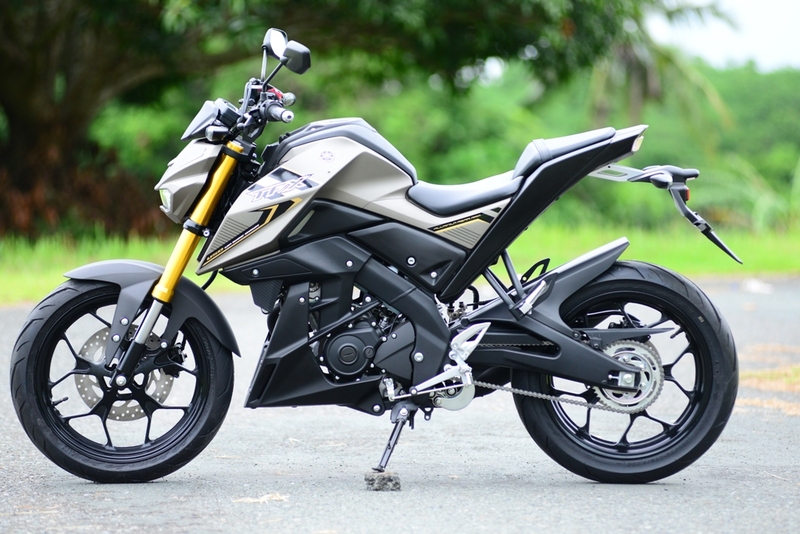 Because of its overall size, it is easy to ride in traffic and through the tight streets of the Philippines. If you would ride this around town, there is no doubt that you will get a lot of stares, and for all the right reasons, and will definitely elicit 2nd or even 3rd looks. To say that this will be a headturner would be an absolute understatement. 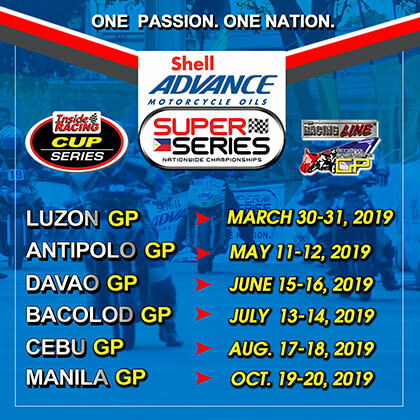 It will be one of the premiere bikes of the last quarter of 2016 and will capitalize on that momentum to have a strong start in the next year. It has the same modern aggressive street fighter looks and comfortable sit-up ergonomics giving it a youthful but serious character.